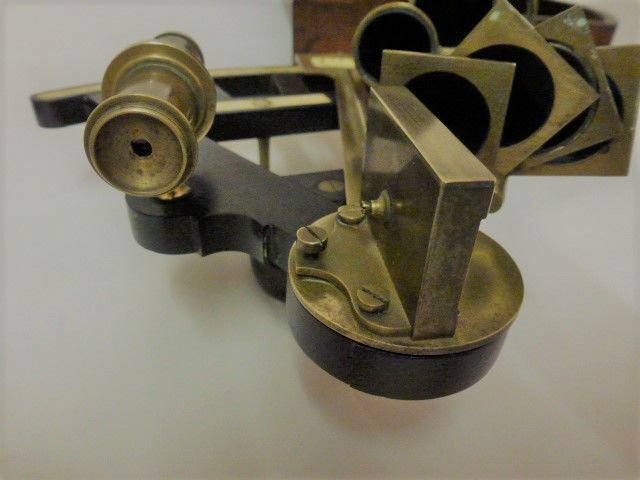 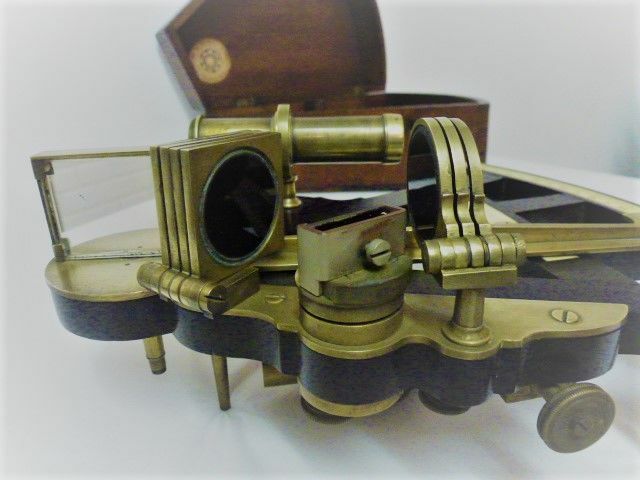 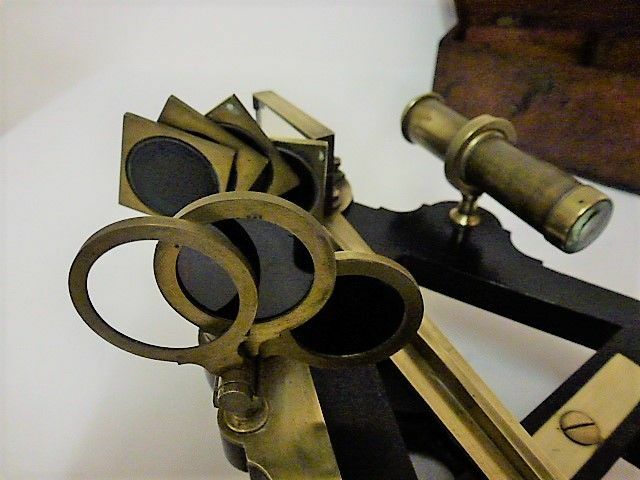 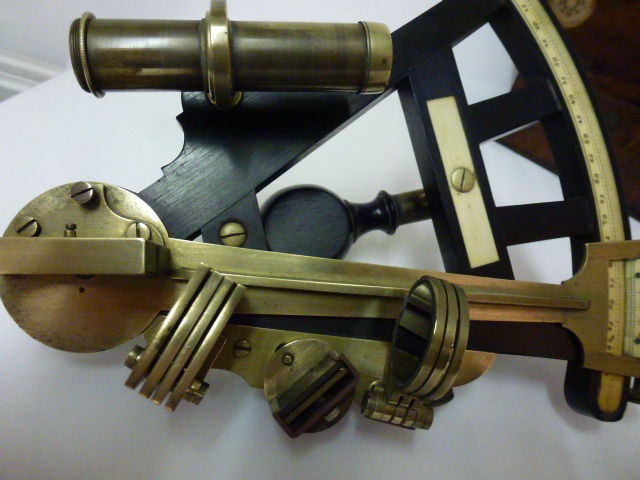 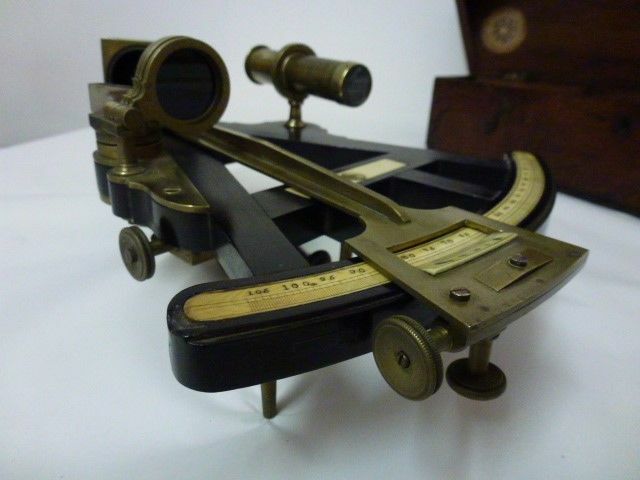 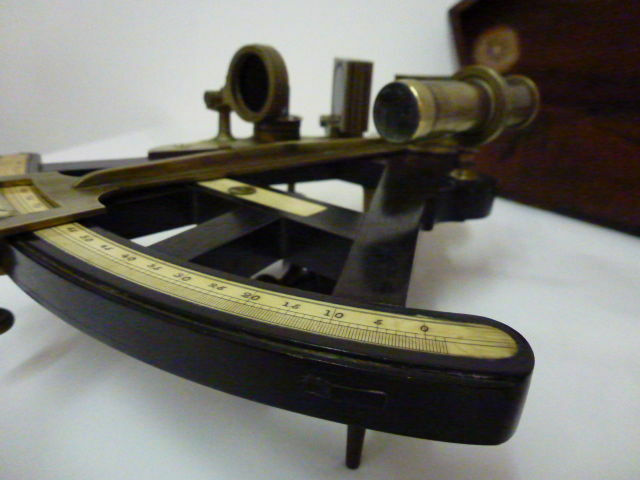 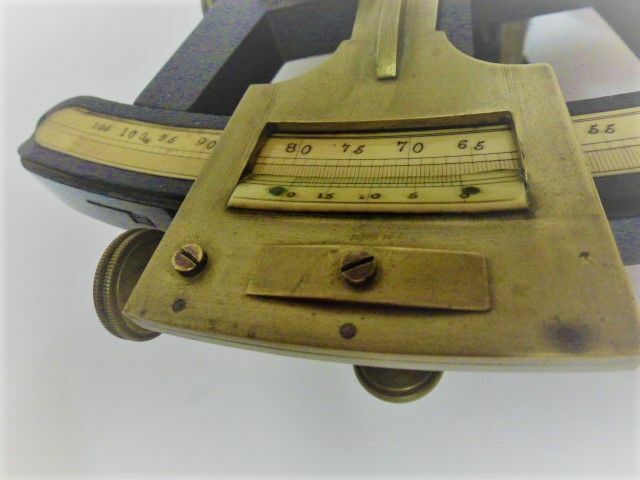 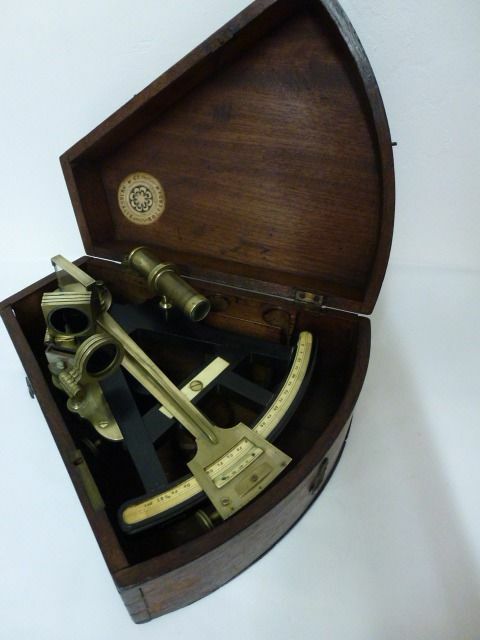 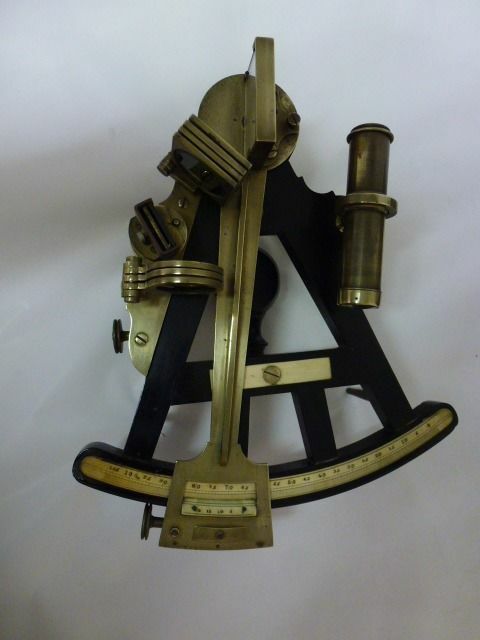 Beautiful octant of brass and ebony. 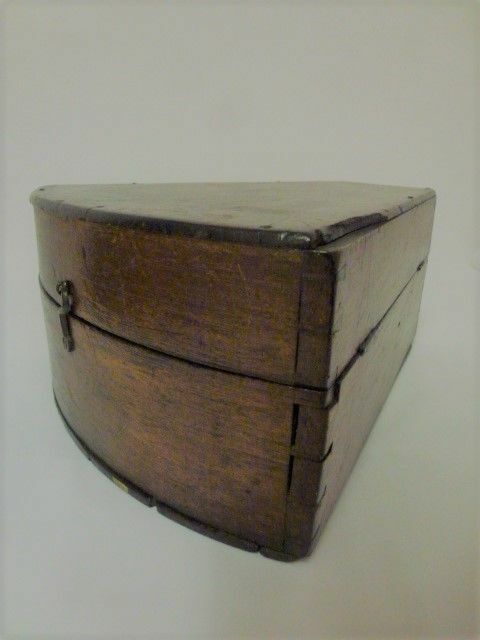 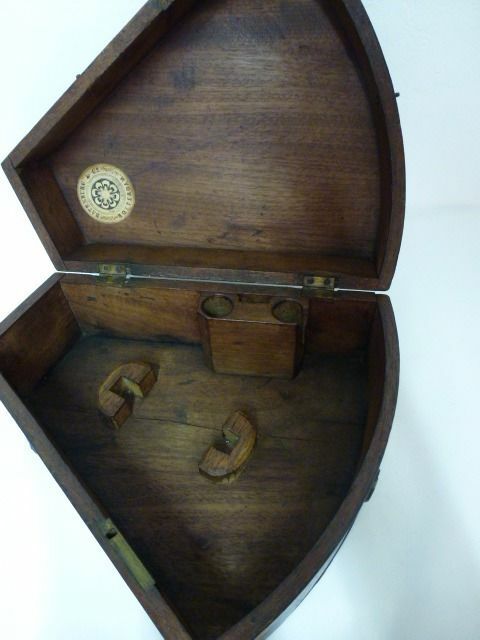 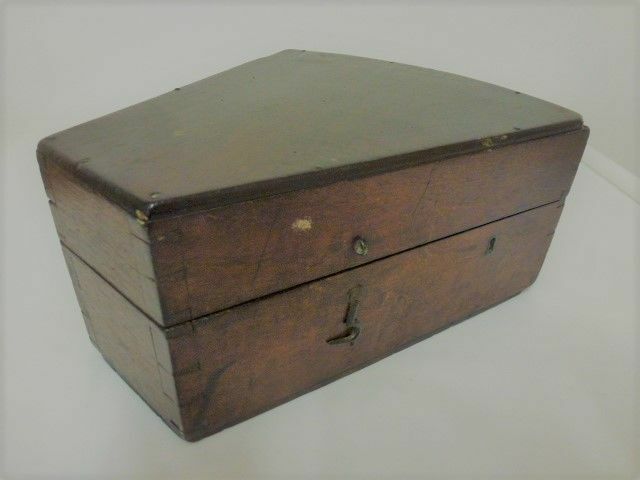 Complete with original oak box. 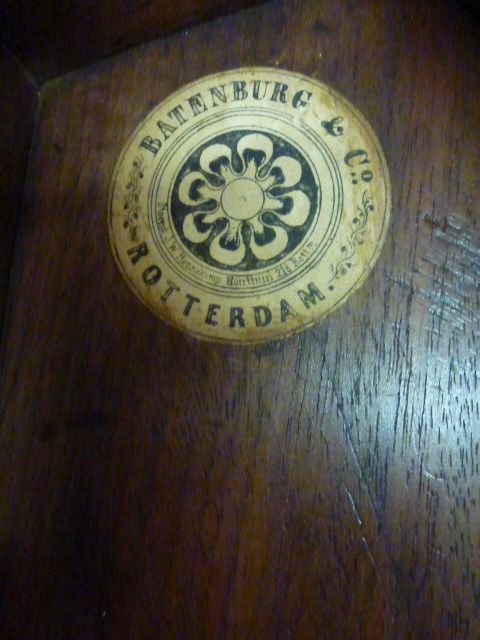 A label on the inside of the lid of the firm Batenburg & Co. Rotterdam.